Projekte Global, a company specialising in turnkey solutions for both the sports and the industrial market, have worked together with Abakus to establish their online brand. 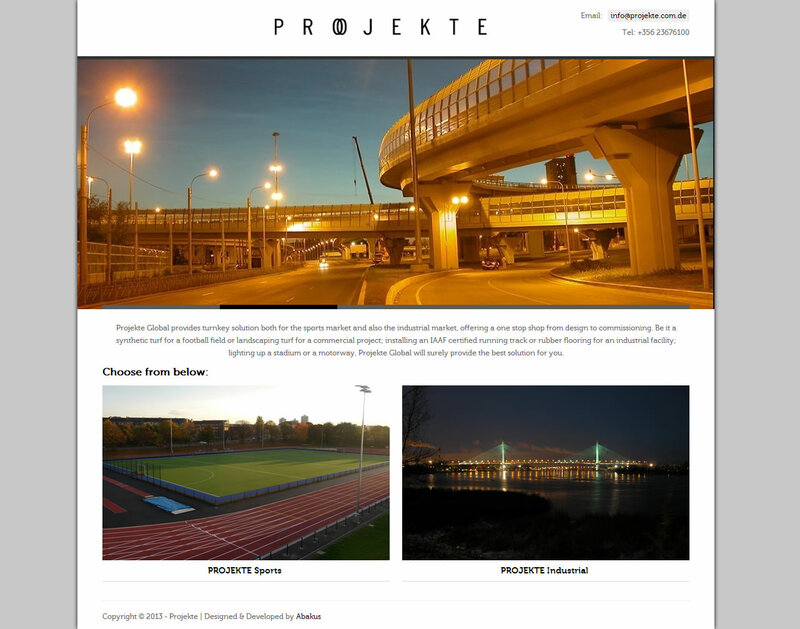 Once a user enters into the website, which can be accessed by going to www.projekte.com.de, the portal will give an option to the user - depending on whatever option they would like to explore they can either go to Projekte Sports or else to Projekte Industrial. From their respective website, the users can browse through various informational and interactive pages which both explain the products, but also which showcases Projekte Global's projects. The main idea behind the website is that of serving as an information extension to Projekte Global, through which their potential clients can learn more both about their products but also their services.